Definition: Electric motor is the electro-mechanical machine which converts the electrical energy into mechanical energy. In other words, the devices which produce rotational force is known as the motor. The working principle of the electric motor mainly depends on the interaction of magnetic and electric field.The electric motor is mainly classified into two types. They are the AC motor and the DC motor. The AC motor takes alternating current as an input, whereas the DC motor takes direct current. 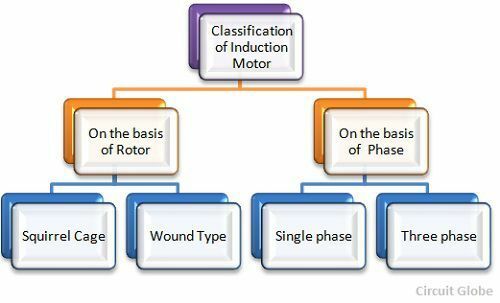 The classification of an electric motor is shown in the figure below. The AC motor converts the alternating current into mechanical power. It is classified into three types; they are the induction motor, synchronous motor, the linear motor. The detail explanation of the motor is expressed below. The machine which never runs at synchronous speed is called the induction or asynchronous motor. This motor uses electromagnetic induction phenomenon for transforming the electric power into mechanical power. According to the construction of rotor, there are two types of an induction motor. Namely squirrel cage induction motor and phase wound induction motor. 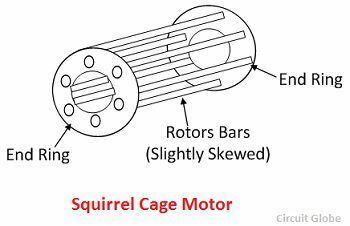 Squirrel Cage Rotor – The motor which consists squirrel cage type rotor is known as a squirrel cage induction motor.The squirrel cage rotor decreases the humming sound and the magnetic locking of the rotor. Phase Wound Rotor – This rotor is also known as the slip ring rotor, and the motor using this type of rotor is known as the phase wound rotor. By the phases, the induction motor is classified into two types. They are the single phase induction motor and the three phase induction motor. Single phase induction motor – The machine which changes1-phase AC electric power into mechanical power by using an electromagnetic induction phenomenon is known as a single phase induction motor. Three-phase Induction Motor – The motor which converts 3-phase AC electric power into mechanical power, such type of motor is known as a three-phase induction motor. The motor which produces the linear force instead of the rotational force is known as a linear motor. This motor has unrolled rotor and stator. Such type of motor is used on sliding doors and in actuators. The machine that changes the alternating current into mechanical power at the desired frequency is known as the synchronous motor. In the synchronous motor, the speed of the motor is synchronised with the supply current frequency. The synchronous speed is measured regarding the rotation of the magnetic field, and it depends on the frequency and the poles of the motor. The synchronous motor is classified into two types they are reluctance and the hysteresis motor. 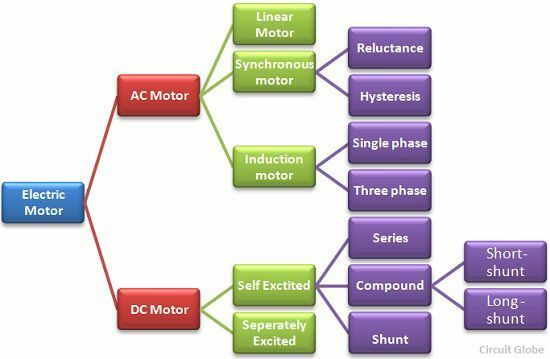 Reluctance Motor – The motor whose starting process is similar to an induction motor and which runs like a synchronous motor is known as the reluctance motor. Hysteresis Motor – The hysteresis motor is the type of a synchronous motor which has the uniform air gap and does not have any DC excitation system. The torque in the motor is produced by the hysteresis and the eddy current of the motor. A machine that converts the DC electrical power into mechanical power is known as DC motor. Its work depends on the basic principle that when a current carrying conductor is placed in a magnetic field, then a force exerted on it, and torque develops. The DC motor is classified into two types, i.e., the self-excited motor and separately excited. The motor in which the DC winding is excited by the separate DC source is known as the separately excited dc motor. With the help of the separate source, the armature winding of the motor is energised and produce flux. 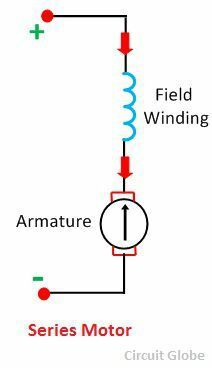 By the connection of field winding the Self-excited DC motor is further classified into three types. They are the series, shunt and compound wound DC motor. Shunt Motor – The motor in which field winding is placed parallel with the armature, such type of motor is known as shunt motor. Series Motor – In this motor the field winding is connected in series with the armature of the motor. Compound Wound Motor – The DC motor which has both the parallel and series connection of the field winding is known as the compound wound rotor. The compound wound motor is further categorised into short-shunt and long-shunt motor. 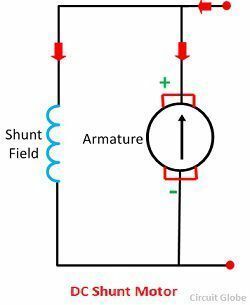 Short Shunt Motor – If the shunt field winding is only parallel to an armature of the motor and not the series field, then it is known as the short shunt connection of the motor. 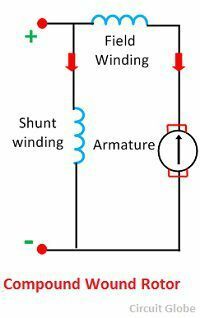 Long Shunt Motor – If the shunt field winding is parallel to both the armature and the series field winding then the motor is known as the long shunt motor. Apart from the above mention motors, there are various other types of the special machine which have additional features like stepper motor, AC and DC servo motor, etc. Really, a lot of thanks!